Open your newspaper or go on its website, and take a close look. There’s a new revenue stream flowing through the pages. 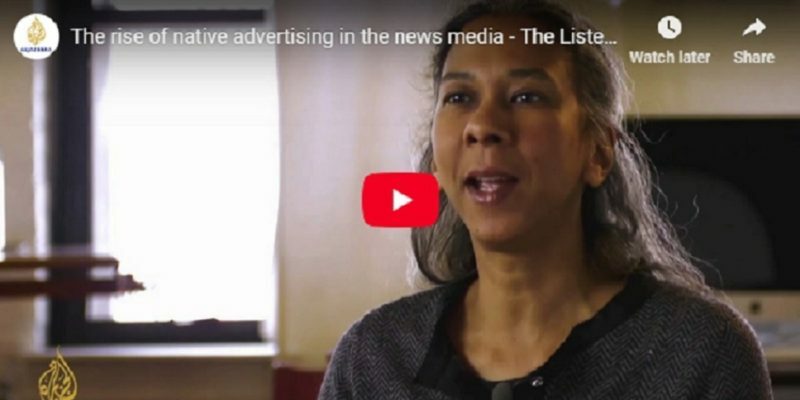 The official and somewhat euphemistic term for it is “native advertising.” It’s being touted as a potential savior for the cash-strapped fourth estate—media companies desperate to claw back revenues lost to the Internet. Native ads look like news stories but they’re bought and paid for. The relationship between newspapers and their advertisers has always been, as they say on Facebook, complicated. 2 Responses to "The Rise of Native Advertising in the News Media"
That’s like the lying TV ads playing in your “detailed” doctor’s office. Ot’s not TV, nor is it “news,” it’s recordings of drug commercials. Big Pig Pharma owns “our” government; did you know, mom, dad?